I've been experimenting with some pens I received as Christmas gifts, and have really been enamored with the Sakura Glaze pens. The white rolls on smoothly clear, so you can easily trace your pencil markings and then dries to a solid white. This makes them perfect for measured letterforms, as well as highlighting other designs. The effect is somewhat three dimensional, and I've yet to find a surface they won't write on. Filling in these letters took two sweeps, but the final result looks almost painted. 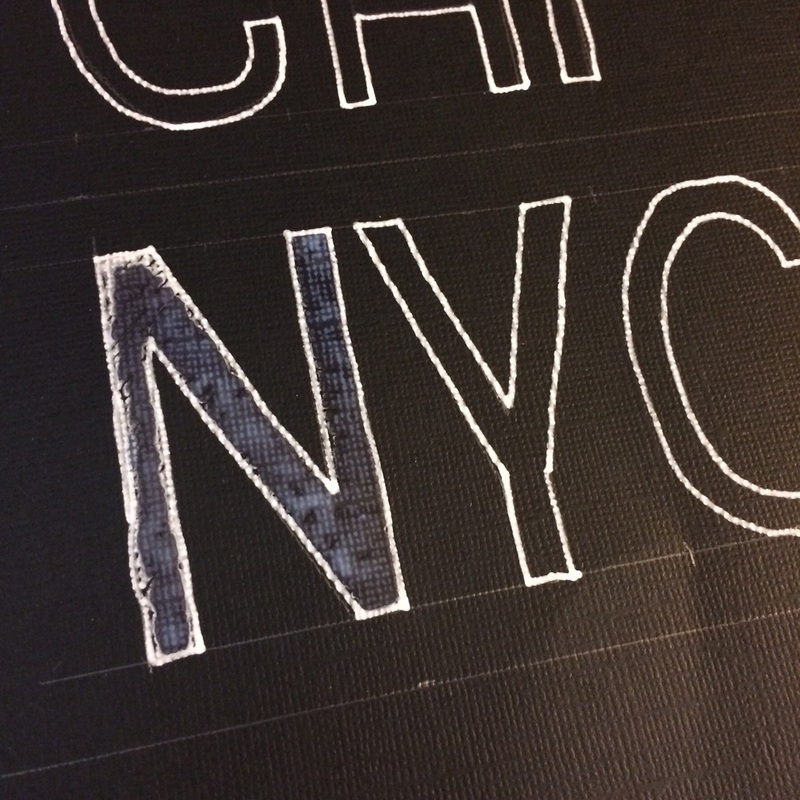 These bold city signs are to accompany the clocks in my youngest son's room, which is travel and transportation themed. Each timezone of his loved ones is now represented.